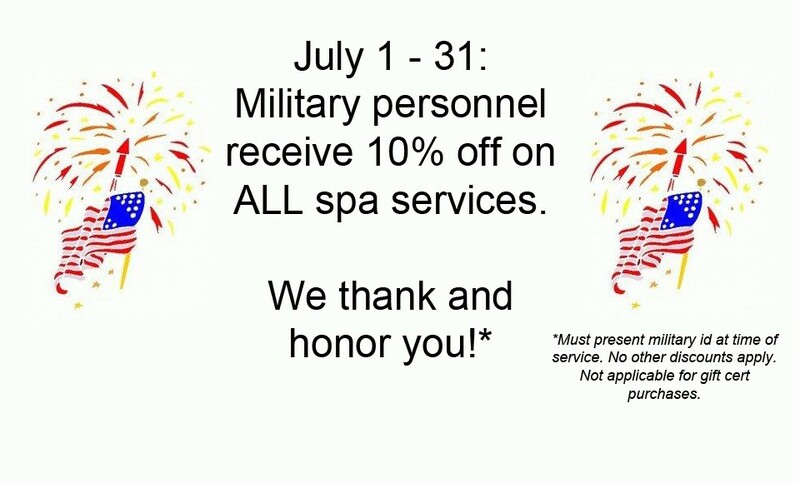 Serenity Spa Appreciates our Military! July 1st – 31st, please accept our token of appreciation and enjoy 10% off ALL spa services*. * No other discounts apply. Cannot be used toward gift certificate purchases. Must present valid military id at time of service.